You have to have patience. 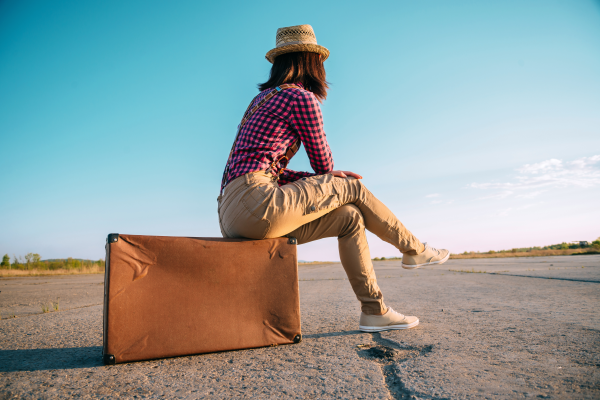 Even if you are an experienced solo traveler, every time you go on a new trip it is normal to take your time to adjust to the solo travel and get rid of those initial nerves, that you are out in the world alone and you have to handle everything by yourself. This is why, information is primordial. 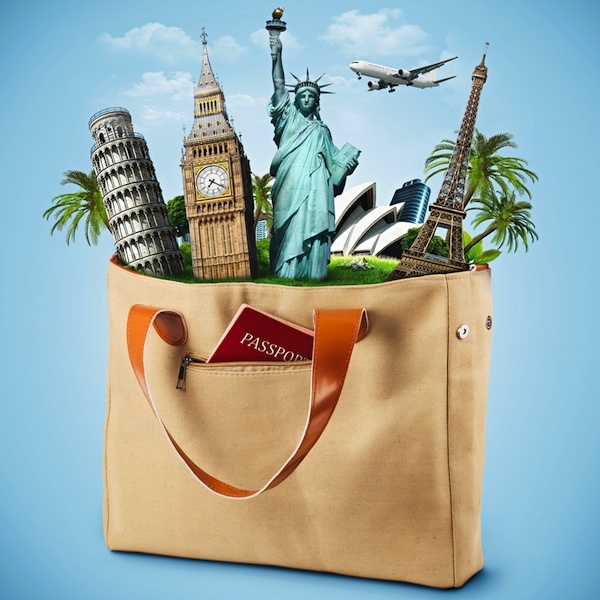 Read the following travel tips for women over 50 years traveling alone. Plan everything ahead before you travel and choose your destination based on solid information. Moving from one place to another and arriving in a place with a foreign language and culture can be stressful. This is why you have to plan everything ahead. You have to know what train/bus to take, how much it costs, where you have to arrive, and even buy the ticket in advance if possible. If you want to travel to more cities and are not planning to stay in the same place, book in advance at least your first night of accommodation and try arriving there at noon. This way you will have time to check out the place and surroundings, and if you don’t like it, you have time to leave. Remember, everything looks better in daylight. Prepare a first aid kit into categories. Make sure you carry with you all the medication you might need, from tummy troubles, pain creams and pills, bandaids, antibiotic ointments and so on, You know best what you might need, so prepare that carefully. When arriving in the new city, take your time to settle in, to get to know the city and see what’s safe and what’s not. This will give you more confidence and also it makes you to be less a target for potential trouble. Try to stay in public, as it is much safer than private. Never, go into private cars or homes with people you have recently met. Show confidence. If you have the feeling that you might have gotten lost, look around and choose someone to ask for help. Just follow your instinct, and you will find the right person, However, if you are just standing and appear vulnerable, the wrong person might choose you. Don’t be afraid to make your point. If a stranger tries to rush you to make a decision, refuse to be rushed. No matter if it’s a vendor, a cab driver, or whoever, take your minutes to think, so you can make the correct decision. Use your common sense but be rude if necessary. Traveling to a different country with a different culture, might be challenging, but there are some basic safety measures from home that apply anywhere. Find out if the area where your hotel is located, is safe. Avoid taking shortcuts trough empty parks or dark streets. When you are traveling alone, leave a note about where you are, in your hotel room or at the front desk person. Don’t go helping someone alone, always ask someone to go with you. If necessary, be rude and trust your instinct. A woman travelling by herself should always take extra safety measures, no matter what her age is. Here is a tip that will make you feel extra safe. Always carry a rubber door stop with you when you travel. You can find it at most of the supermarkets and they are portable, small, and it takes just a few minutes to put it under your hotel and sleep without worries. Just keep in mind, that there are certain hotels or Bed&Breakfast, that don’t have a chain on the doors and you never know who has the keys to your room. Better safe than sorry. It doesn’t matter that you are not in your 20s anymore, this rule applies for every woman. Dress conservatively in order to avoid attention. This applies no matter if you are in America or Europe. You should keep in mind, that other women are not necessarily safe. Even though women feel safer when around women, the world is full of dangerous women as well, who would lure you into dangerous situations. So, be careful. Choosing the right purse is critical. Go for a purse that you can wear across your shoulders, but the ideal choice would be a pack designed with security features. Don’t overdo it with packing, pack as light as you can. It will require more thinking, to prepare your travel wardrobe, but you will be more at ease with a lighter luggage. Pick a base colour, like, brown, beige, black, navy and a contrast colour like white or beige, and maybe another colour or tow to accessorise all together. On the internet there are plenty of videos on how to pack light. Always pack a pair of comfortable shoes, as nothing will ruin your trip, faster than sore feet. Here is a bonus tip for traveling. Make sure you always have a small bag of almonds with you. If you get hungry and there are still many hours until lunch or dinner, snack on some almonds. They will give you energy and will stop your hunger. Buy your supplies before you leave. It is always difficult to start traveling by yourself, as there are times when you start thinking about many factors, especially when you are doing it for the first time. Wont it be acquired to walk around by yourself no one to talk to, eat by yourself? If you feel you cant handle all of these things, try subscribing to a group of your age. Don worry if there are mostly couples, as people traveling in groups are very social and you won’t feel like the third wheel. No matter how bold and brave you are as a woman, traveling alone will always get lonely at one point and you will experience extreme loneliness. The truth is you are alone, so its natural for that to happen. What you can do to ease your way into that, is to look for restaurants which have communal tables, this way you can chat with new people. 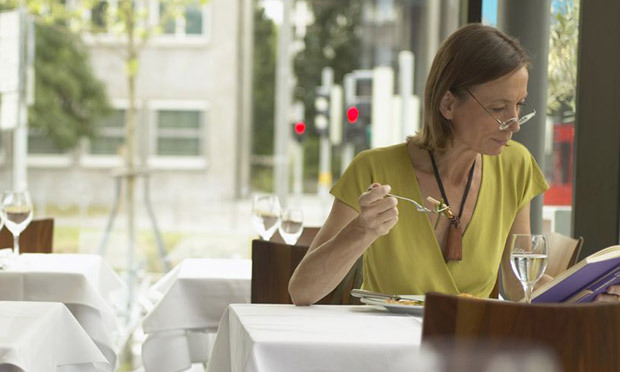 Don’t worry about feeling out of place, as many of the people who are choosing this type of restaurants are there for the same reason as you are. Never go to a restaurant without a book or a magazine. You don’t want to stare at the wall while waiting for the food. Keep yourself busy as it will make you feel less conscious. The days when loneliness strikes you the most, go out and don’t let it control you. Put on your dress and go have dinner at a nice restaurant, maybe even the best in town, if you can afford it. Join tourist small day groups, as it is a great way to meet people, who you might have the chance to keep seeing during your stay. Choose smaller hotels, because they are much friendlier places. You could ask to join a table of people in the morning, at breakfast, or you can hang in the lounge n the evening, maybe someone will ask if they can join you. Since you are traveling alone, and you don’t have no one to comfort you, to hug you, to kiss you, why not pamper yourself? Go get a manicure, a pedicure, a facial, a massage, all these are safe ways to get in contact with people. When it comes to Europe, the majority of its cities are great for women of a certain age. If going to London, Rome, Paris, Florence, Berlin, Madrid, or Barcelona, you can stay in colorful neighborhoods that have access to local markets, public transportation, cultural attractions and historical sites. For example, in the UK, the cities are offering English language theatre plays, films and lecturers, and in some museums you can sit and enjoy a cup of tea, or even have dinner.